So You Want to Write YA... But Think You're Too Old? 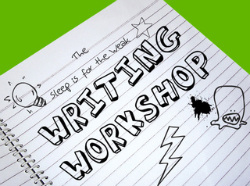 Join YA authors Mindy McGinnis and Kurt Dinan for a whirlwind tour on how to write for teens. Learn how to craft a voice that teens will want to read, and how to create content that teens will find believable without setting off the censor alarms.